I saw a new Camaro that was in the local dealer's driveway for less than a day. Reminded me of the VW/Porsche 914, better-looking in person than in photographs, but still not very pretty. I agree with you there, sub. The Vette is as safe as the rest of GM. That's what worries me. "Corvette" as a nameplate is likely pretty safe. Corvette as a high-performance sports car is only good to about 2011. After that, all bets are off for true GM perfomance cars such as Cobalt SS, Camaro and C5 Corvette. I think that GM will always build the Vette. It's more than just a means of transportation. The Corvette has become an American Icon. It's the only American car to have it's own museum and dedicated owners. We as Vette owner have to let our goverment realize that Corvette is more than a car its a American Legend. Maybe I missed something in the video... 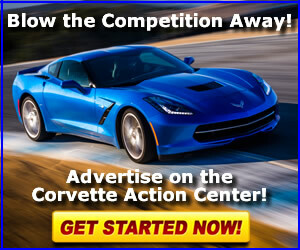 I didn't hear anything about a "plan" for the C7. It sounds like the C6 may be safe for a few more years if Fritz has anything to say about it. What's to say the "Obama show" won't force him out at some point too. I have to agree with what someone said earlier... When the government is involved, this could turn sour real fast. I'd like to believe there will be a C7. I'm still cautiously optimistic. The video didn't change my opinion one way or the other on Corvette's future. That's an interesting statement because I thought when the C6 was being discussed in pre- and post-production, one of the points made was that it's almost entirely new with not much being carried over from the C5? It looks like the Corvette's future is secure, according to Fritz Henderson. The Corvette is a "Halo car" for GM...too important to just kill it dead, and GM management knows this. They sure know better than to discontinue the American Icon, in production since 1953...by the way, on another note, Evolution 1980, I love the custom paint on your 1980 Shark!...what do you call that color, and is it a custom mix?...I'm thinking about re-painting my '81 Shark with the same color as yours. Please let me know, thanks!...I also like your Victory motorcycle, the new American motorcycle!...I'm glad the U.S. now produces four (4) American-made motorcycles: Harley-Davidson, Buell, Indian, and Victory...it gives buyers an option over the Jap bikes, which I'm glad. Neville Chamberlain told the British people that Peace was in hand after his visit with Hitler. IMHO any vette/camaro sales you see near term will be sold to those who want to be first on the block and to those who want to own the last vette/camaro, hoping that in future years it will be worth more. Eventully the govt will outlaw these cars. we are living in different times. I hate to pee in anyones Wheaties but any time the government gets involved things can change quite rapidly. I think Corvette is in as much danager as the whole of GM. If GM sinks it is going to take Corvette down with it. I think ole Fritz is just being P.C. Remember he works for the government now. that's right, a government controlled company. GM now stands for "Government Motors." And you all know what kind of automobiles we'll see from that unholy alliance. I hopt the government doesnt do what was done it the early 70s and kill performence for emmissions. I have the slowest vette because of that( "75 vette" ) I dont want another "SLOW" Vette. Just my 2c. P.S. I saw this coming during elections though! Let's get a grip here, Obama and his administration had nothing to do with the state of GM, he just has the unenviable job of trying to pick up the pieces and save as many american jobs as he can. It may feel great to rag on the government but let's place the blame for this debacle where it belongs. Greedy bast**ds on wall st and at our major banks brought the economy to its knees. GM is struggling disproportionately to the rest of the industry because of the inept aholes at the top of the food chain that have run the company into the ground. Government hand outs, dare I say corporate welfare, don't come without strings. However, Obama and his key team have already proven that they are both more pragmatic and more intelligent than others in the immediate past and the focus is on jobs, profitability and getting our (yes yours' and mine) money back. The Corvette has something other nameplates could only dream of which is an unshakable and fanatically loyal fan base. 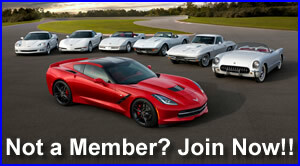 If the Corvette is, as stated, a profitable unit than either GM or a stand alone owner will continue to produce it. Thankfully, unlike most other car brands past and present, keeping cars on the road won't be a struggle whether Corvette survives or not given the huge aftermarket/reproduction industry. PS-I love the look of the new Camaro modern but with styling ques from the 1st gen, independent rear, ridiculous base engine and a catalog of LSs to pick from. Top of the pony food chain and if I had room for another toy and/or lived in a warm 12 month car climate I'd be 1st in line for a 6 spd SS. Nice job GM. I could not disagree with you more. Are you saying that our gov't had nothing to do with the implemention more and more rules and restrictions on US car makers?? Did you ever hear of CAFE std's?? The requirement to build electric and hybrid cars that only a few want?? How about the gov't making sure the UAW gets everything they want through legislation?? Please do not take the socialist POV and blame the private sector which cannot remain private. If you want to be at war with private business along with the white house and congress I hope you know what will be on the horizon. ...No car company can sell enough niche "retro" styled vehicles to be profitable because its simply too small a market. They could sell enough... if the price was right, the reviews were great, and the quality was high. Lord knows Chrysler sold enough PT Cruisers! FWIW- the HHR came too late to the party. People want affordable... then they will consider retro. People are reconsidering the idea of financing cars for 7 years- they don't want to incur debt for that long- especially when fleet sales drop values steeply and quickly. Good news about the vette...we'll see!!! But on the Camero, if anyone thinks it remotely resembles one!!!!!!! so much for retro..it's even 900 lbs heavier than the original, what's that all about??? There's already aftermarket companies that will use a C5 chassis to look like a '53. I doubt Chevy would touch that small niche market. I think if GM did it it would worth more and hold a value. Would you buy a classic or a classic repro? I don't know about that. Look at the Mustang.